Undoubtedly, a new roof is one of the most costly investments for a homeowner. The list of Orlando roofing companies is long and choosing the wrong roofing contractor could make a roof replacement even more costly. In the Orlando area, we have the potential of residing in what tropical storm hurricane forecasters term “the cone of uncertainty.” A rather ominous phrase, but one roofing contractors will tell you to seriously consider when replacing your roof. After performing your due diligence and narrowing down a list of licensed roofers in Orlando, it is time to consider what to look for in an estimate. Janney Roofing provides fair estimates with follow through on craftsmanship. 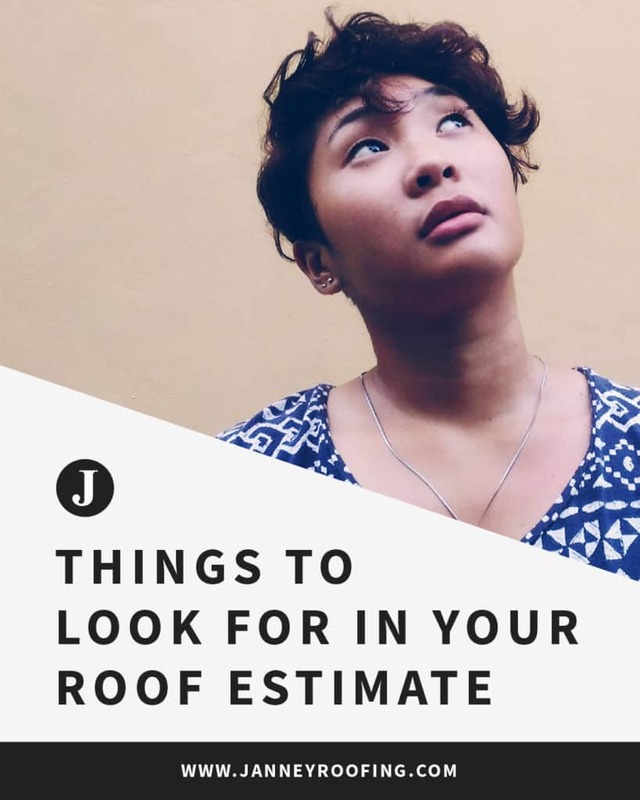 Fairness and follow-through, just two features to look for when evaluating estimates from roofing contractors. Designations from roofing and business trade organizations. Most Orlando roofers will use three main factors when determining the cost of replacing your roof: roof size, roof pitch and the cost of roofing materials. Pay close attention to the type of materials the contractor allocates for the project. Take detailed notes as you review each estimate. Compare the estimates along with customer references obtained when culling your list of potential Orlando roofers. Although the bottom line is important, refrain from comparing estimates based solely on the overall cost. When perusing the long list of Orlando roofers, there is only one choice: Janney Roofing. Janney Roofing is a family-owned and operated accredited member of the Better Business Bureau (BBB) and credentialed as Shinglemaster by CertainTeed, a leading brand of exterior and interior building products in North America.